We just came back from our third year in a row, and hope for many more years to come. This is an awesome ADK retreat. Great full hook-up river sites, friendly people and great hosts! The owners have their rules and make sure their are enforced for the safety and respect of other campers. Highly recommend! My Husband and I spent a very enjoyable stay at Singing Waters Campgrounds during the time from June 28 - July 8th if 2012, and we found the owners very pleasant. When reading these last few reviews I have to inform the readers to please don't let others be your voice, go and check out the park and make your own judgement call. Yes the power was out during our stay for 9 hrs because of a fatal car accident, leaving like 4900 customers without power. Certainly no blame to the owners. And the night patrol was wonderful for us, it let us know they cared enough for the safety of their guests. We witnessed some very rude behavior on the part of campers, and I know if it were my business that I put my heart into each and everyday for 25 yrs, the last thing I'd want is people to disrespect it. They have rules to be followed and it is their property, and as 2 retired adults who have raised 5 grown kids of our own, we don't wish to be around a bunch of mouthy adults or children. You pay for a place to park your RV, it is a beautiful park, very clean, and no one has the right to think they can just come as trash it. The owners have no say in what we as customer's write on these pages, but after traveling all over, I highly recommend this park for pure leisure and enjoyment. Also they accomodated our 43' Class A with 4 slides. Try it out, you won't reret it! The park has a lot to offer in respect of beauty. It is very disappointing however it has to have such rude owners. We stayed for the 4th of July and had a great time at the park itself enjoying the beach, the water, and tubing. I even give the park kudos for having the cleanest bathrooms that I have seen in a long time at a RV park. The hospitality of the owners is just horrible however. When we checked in the lady at the front office was just short and seemed annoyed. Power outages occurred on several occasions. The owner and his wife on the golf cart were unfriendly. There were several other instances that just made it a terrible time. I read the reviews and decided to give them the benefit of the doubt but now wish I had not. If you are going to be miserable, you should not own a campground. Stayed there for a week the sites and river are beautiful but it stops there. The owners are NASTY. Would not recommend to anyone, find another place to stay. charge you full price for 30A service but it's not. Power outages at least once per day.Not going to go into details but I was planning to return there again another time until a run in with the owners that would change my mind and make us never want to go back. We have camped a lot and have never been treated the way they treated us and have never had any other problems like this. Take warning they are NASTY and VERY UNFRIENDLY people. I guess I should have taken the advice by another campground owner from the area (who is a member of http://www.campcony.com/) to stay away. It was one of the best campsites we've stayed at in a long time. 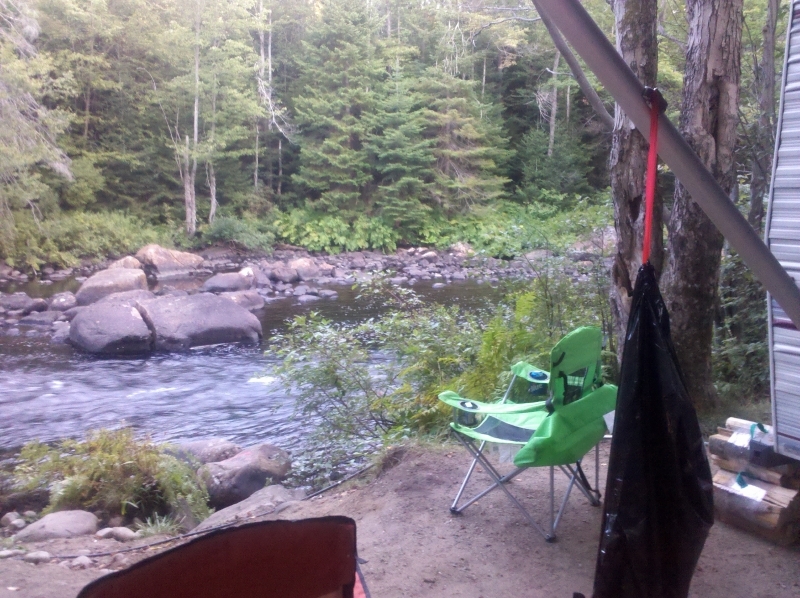 Beautiful campsite along the river, and friendly atmosphere. I would highly recommend this campground. The owners are very nasty to their guests. Period.